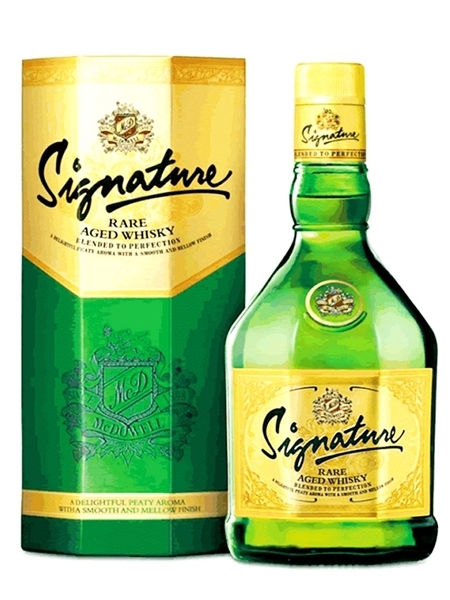 Indian Whisky from United Spirits Ltd.
McDowell's Signature Rare Whisky is a blend of matured Indian malts and aged Scotch whisky. There is no age-statement. It is bottled at 42.8% ABV.